There is nothing more important in life than experiencing an intimate relationship with God through Jesus Christ. At Nicolet Bible Institute, we are committed to helping you grow in your relationship with Jesus so you can live like it matters. You want to own your faith – not just a Sunday faith, but an everyday faith that changes the trajectory of your life, the decisions you make, your goals, and ambitions. You want a faith that you can defend, that will secure you in the truth and will stand up to objections. You want to live in community with others who are seeking to know God – real community where you can be yourself and ask the questions that matter to you. You realize that the world is not all about you and you want to give yourself away in the service of others to the glory of God. You enjoy the outdoors and desire a small, intimate, educational experience. You prefer a quiet campus away from the noise of modern life so you can hear God more clearly. If these things are true of you, NBI might just be the place God has in mind for you. 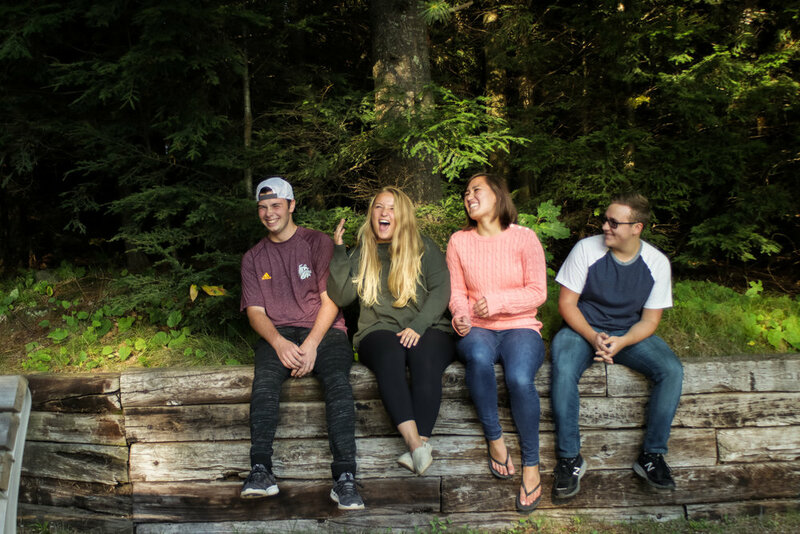 Nicolet Bible Institute is a unique blend of academic learning and real-life experiences that shape understanding and character in a powerful way. If this sounds interesting to you click the button below! This survey of the Old Testament is designed to give the student an overview while identifying unifying themes born out of God’s relentless pursuit of relationship with man. Attention will be paid to the structure of each book, its main characters, events, and message. This three-pronged course includes the following: Discovering God’s call using various assessment tools including Gallup’s StrengthsFinder; Dave Ramsey’s personal finance course, Foundations for Life and Money; and Relationships – all tools for life’s journey. This course provides students with an overview of classical apologetics. Questions of faith and doubt are covered, including the existence of God, the Bible and how it was transmitted to us, evil and suffering in the world, and the person of Jesus Christ. This course is a study of the Biblical and theological foundations for consistent and healthy spiritual development. Special emphasis is placed on developing personal habits of growth for ministry. This course will serve as a practical introduction to Biblical hermeneutics. Various vital areas that need to be considered in order to obtain an accurate interpretation and personal application of God’s Word will be examined. This survey is designed to give the student an overview of the New Testament as the fulfillment of the Old Testament. Expanded attention is given to the life of Christ as the culmination of God’s redemptive work. In addition, the key doctrinal issues in each book are emphasized along with principles for personal application. Use the form below if you have any questions about the way the program is structured, if you want to schedule a tour of the campus, or to ask any general questions you may have.